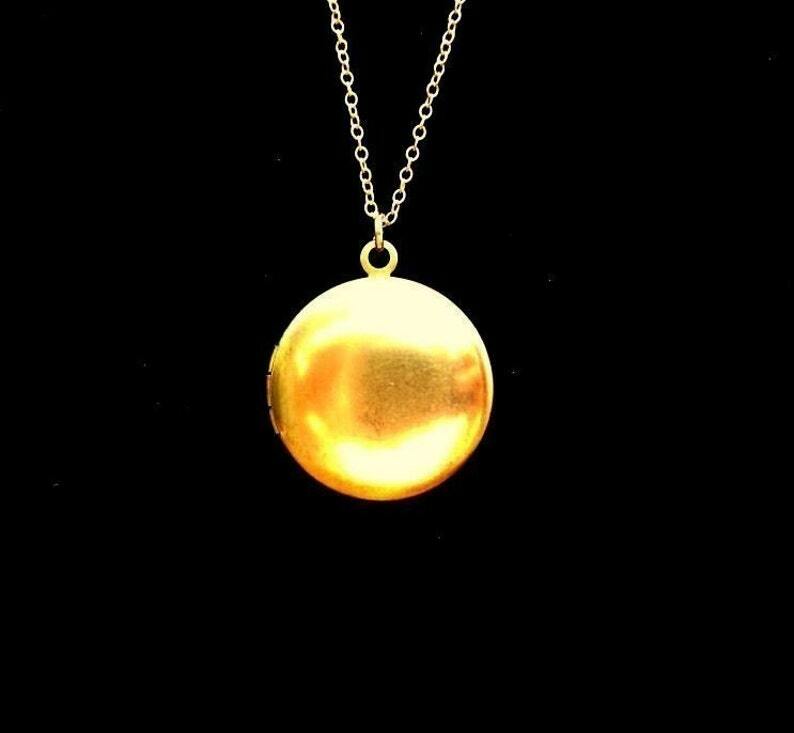 This necklace is made with a round brass locket hanging on a 14/20 gold-filled chain. The locket opens to hold two medium-sized photos. There is a 14/20 gold-filled chain. I love wearing mine as a neutral layering necklace or alone with a button-down top. Please note the "Sweet Petite" necklace in the last photo is not available in this listing but can be found in my shop. 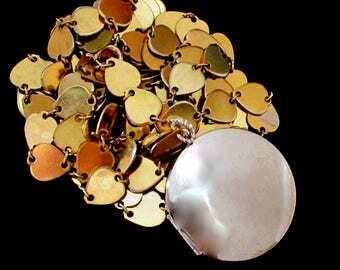 The chain measures approximately 18 inches but can be adjusted upon request. The locket hangs approximately 1 inch from the chain.